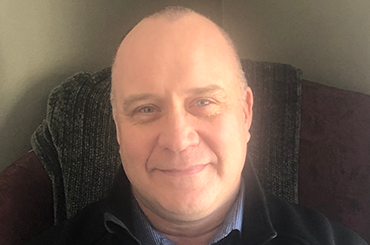 ERW is proud to announce the hire of Bryan Taylor for Eastern Washington Sales. Bryan is a seasoned lighting professional with experience in almost every aspect of the business: manufacturing, distribution, and agency. Having worked for some of the largest lighting companies in the industry such as Columbia, Cooper, and Osram Sylvania, as well as with the national electrical distributor CED, Bryan is not only a well-rounded wealth of knowledge, but he understands every facet of our industry. Bryan is excited to be calling on Eastern Washington’s contractors, distributors, and specifiers. His extensive knowledge of Philips and Lutron makes him an especially great asset to ERW in the Eastern Washington territory. Bryan, (a Spokane native) has been married to his wife Colette for 23 years, with two daughters in college. When not doing lighting take-offs or lunch & learns, Bryan enjoys anything outdoors, including fly fishing, skiing, and wood working. Bryan looks forward to being your new Eastern Washington sales rep, and can be reached at 509-220-9393, or BryanT@ERWLighting. Lutron’s C•L Pro. One dimmer for any job.